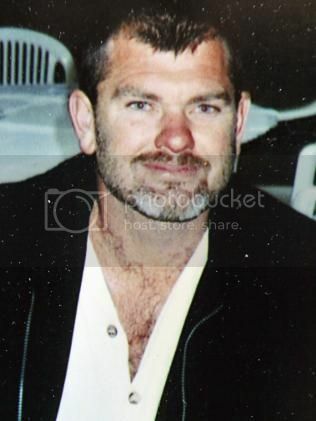 Shayne Gallager was last seen on Tuesday 30th September 2003, Shayne was seen driving his vehicle a 1978 red Nissan Patrol Short wheel base Four Wheel Drive, with registration number 7CZ988 travelling in a Northerly direction out of Leeman WA. Last seen wearing blue jeans, Blue long sleeved shirt and Rossi style boots. FOR Kelmscott couple John and Dolly Gallager, last week marked the sixth Christmas without their son Shayne, who mysteriously disappeared in 2003. Mrs Gallager still finds it difficult to talk about her only son and said it wasn’t just Christmas that was tough. The lack of closure is the hardest part for the family, and they are appealing for anyone with new information about his disappearance to come forward. The then 36-year-old was last seen driving out of Leeman on Tuesday September 30, 2003, in a 1978 red Nissan Patrol. His car was never found. While Shayne’s parents still hold out hope that he will one day return, they know it is likely his remains are somewhere near Leeman, where he had been working as a crayfish boat deckhand. Over the last six years, when the remains of an unidentified person had been found, Mr Gallager would check with the authorities to find out if it was Shayne. “There was another man found dead recently and my mind’s ticking over now – it could be him. You just don’t know,” Mr Gallager said. “There’s no closure. That’s the hardest part. “All we can do is just hope. It’s just on your mind all the time, especially at family gatherings when all the family gets together. Mr Gallager said Shayne had been feeling depressed before he disappeared but had a lot to live for as a loving father to two young girls. Many people, including extended family and friends, had been deeply affected by Shayne’s disappearance. “He would help everybody, that’s how he was. He’d do anything for anyone; he was that sort of guy,” Mr Gallager said. Shayne had been living in Leeman for eight years with his partner and had told his parents, two weeks before his disappearance, that he was coming to Perth to visit with his two children. Mr Gallager said the family was devastated when they realised Shayne was missing and travelled to surrounding areas to distribute missing person posters. A police and aerial search, along with the posters appealing for information, provided no clues. Shayne was last seen wearing blue jeans, a blue long sleeve shirt and Rossi style boots, and driving his red Nissan Patrol in a northerly direction out of Leeman. 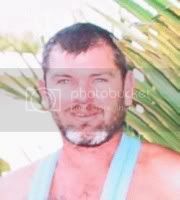 Shayne was last seen on Tuesday 30 September 2003. Shayne was seen driving his vehicle, a 1978 Red Nissan Patrol Short Wheel base, registered number 7CZ 988 in a northerly direction out of Leeman. Despite extensive inquiries by police and family his whereabouts are not known. Concern is held for his safety and welfare.